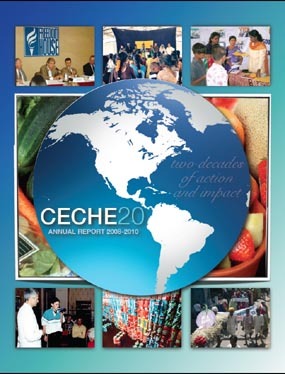 CECHE's Annual Report presents highlights from programs and projects conducted over the year. The most recent Annual Report (2008-2010) is featured on this page. Prior years' Annual Reports are also available to be downloaded as PDF files using the links below. More information on specific projects is available on this website. If you don't have the Acrobat Reader, click on the Adobe button below.